A friend of mine who is a sculptor called me to tell me about this colorful Ford that she was planning to cut into pieces for her to make her creations out of metal. She told me to come and photograph it before it was gone and I did. 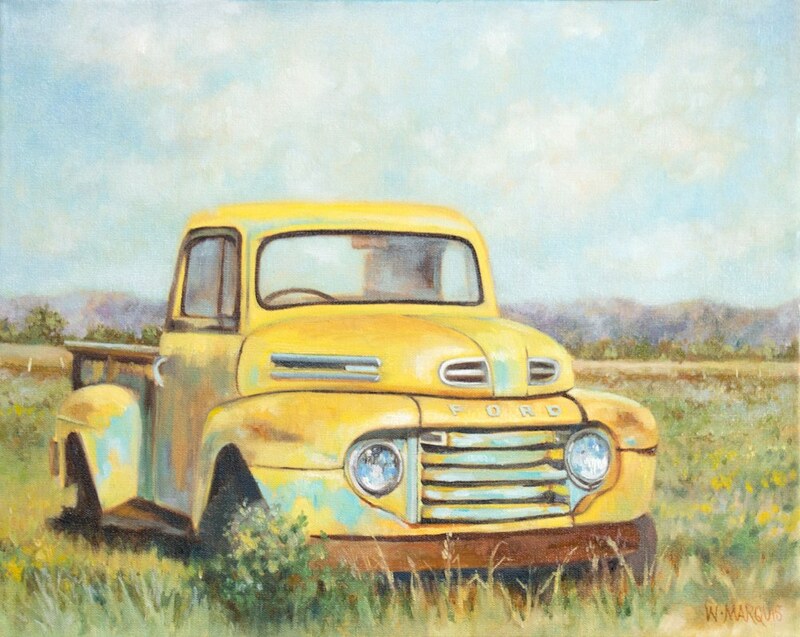 The turquoise, yellow, and rust were so amazing together, and just tailor made for one of my paintings. The colors of this old 1948 Ford were incredible. Yellow and turquoise paired together make a great combination.